First of all, I welcome this new analysis. Combined with the latest cutting edge research into the origin of the Eurasians, and with other open source calculators of ancient origin available via GedMatch - I feel that it can help us get personal with our ancient Eurasian roots. However... unfortunately it has faults, as the online community quickly picked up. In particular, with the Metal Age Invader component. FT-DNA suggests that it represents the Yamnaya admixture event - where Copper or Early Bronze Age pasturalists, mounted on their horses, expanded from the Pontic and Caspian Steppes of Eurasia, into Europe around 5,000 years ago. But 1) it doesn't include any ANE (Ancient North Eurasian) component from the Mal'ta-Buret reference, and 2) it of course cannot distinguish it's Western Hunter-Gatherer reference from that inherited directly within Europe or elsewhere. 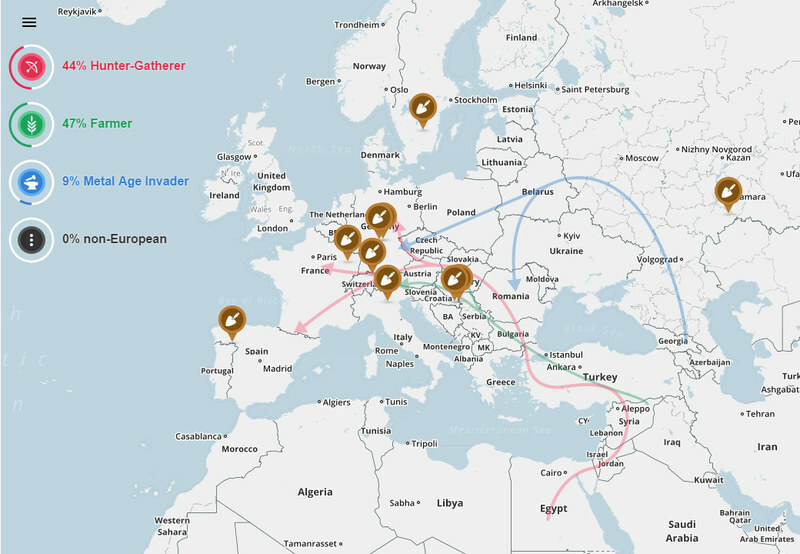 All that the FT-DNA Metal Age Invader reference appears to represent, is the population known as Caucasus Hunter-Gatherer. A minority component of Yamnaya DNA as we currently see it. Now that I've got that covered, I can move onto my next blog post, which I find more interesting - how I use My Ancient Origins to try to reconstruct my ancestry from 11,000 to 4,000 years ago.